Review | This is Otti. Otti will embark on an adventure. Together with the test driver of Autozine, Otti will explore Tokyo. That is a true challenge, because the editor doesn't know his way around Japan, nor does he know the rules and regulations. He can't even read the traffic signs. Otti is the cheapest Nissan available, which means he also has his limitations. How will this adventure end? In Tokyo everything is big, bigger, biggest. A small neighbourhood shopping centre in Tokyo, would be called a "Mega Shopping Mall" in Europe. And, in Tokyo everying is in 3D. This means that every storey of a building is used. The ground floor may be that of a toy store, while the stories above may be a clothing store, a restaurant or even a barber. That is why it is quite a challenge to find the garage where the test car is waiting! Meanwhile, the sun is burning and there are so many people on the street that the crowd seems to decide the direction to walk. And they all speak Japanese! "Sumimasen, Nissan wa doki ni arimasu ka?" (excuse me, do you know where Nissan is?). No one seems to know. It turns out Otti is waiting in the second basement of a giant office building, right next to Akihabara station: the electronics, manga and music district of Tokyo. It is not unlikely that the other floors of the building are used for a post office, karaoke bar or "made café". What a joy; being in a car, alone and sheltered from the chaos outside. Otti is like a living room on wheels with posh beige upholstery and a little two-seater couch instead of front seats. Despite the fact that Otti is the smallest and cheapest Nissan on the market, Otti features air conditioning, sat nav (in English! ), an automatic gearbox, four-wheel drive, power windows, central locking and, of course, a CD-player. That pile of new "J-Pop" CDs can finally be played. 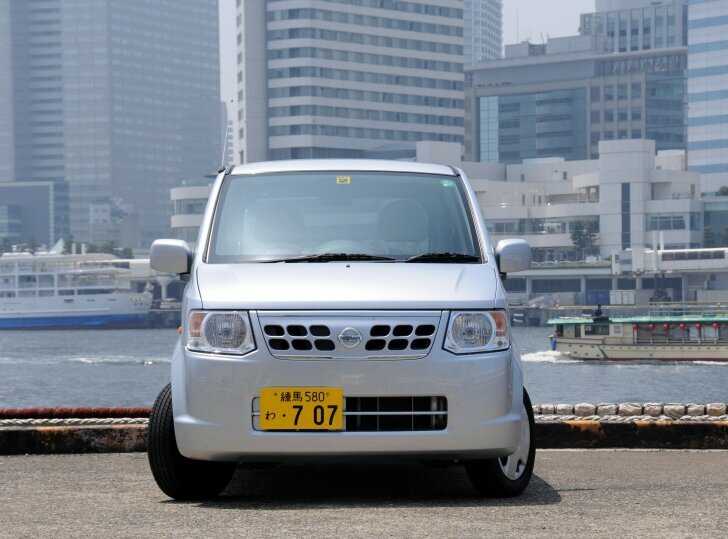 Otti measures just 3.40 metres in length and 1.5 metres in width and that is why it is a so-called "kei car". 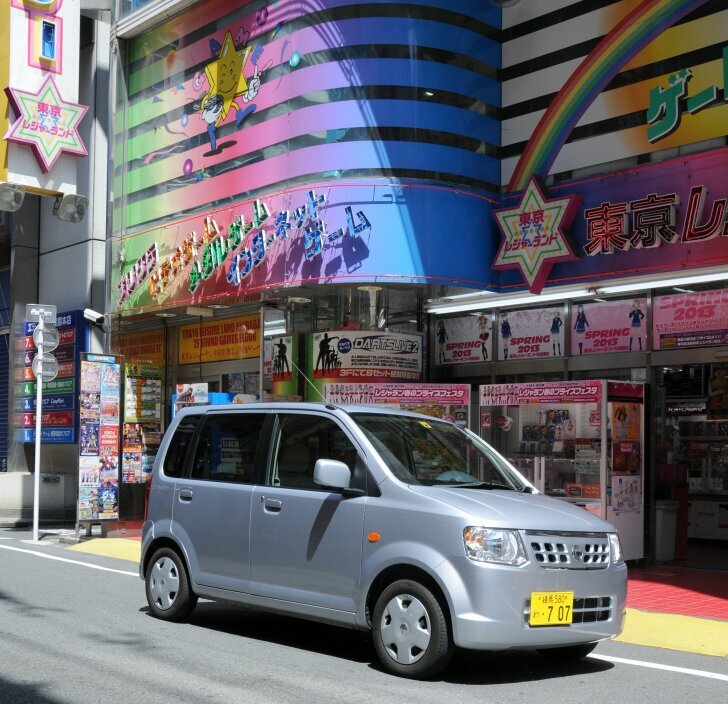 There's a big tax discount for such tiny vehicles in Japan, so the streets are packed with them. And there's another good reason to drive a compact car: the backstreets are very narrow. Those who try to be cool by driving a big European car soon regret their choice, while little Otti cuts through traffic like a knife going through butter. The first serious drive takes Otti and his driver to the headquarters of Nissan in Yokohama for a visit to the private museum of the same brand. Driving on the "Tokyo Express Way" is the next adventure, but again Otti makes it easy. The base level is for regional traffic. The next level is for mid range traffic, while the third level is for long distance traffic. Yet again the roads are crowded beyond belief and one mistake can cost a lot of time (and toll!). The three-cylinder engine with a displacement of just over half a litre (a requirement to comply to the "kei car" regulations) purrs along happily. The four-speed automatic gearbox with torque converter isn't exactly high tech, but given the situation it doesn make life easier. Performance is poor, but even on the top level highway the maximum speed is 80 km/h and that is well within Otti's capabilities. 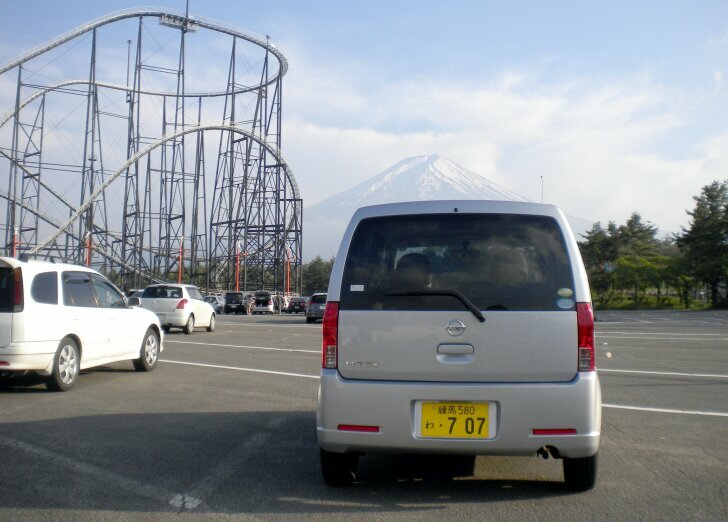 The visit to Japan is both for work and play, so the next day "Fuji-Q Highland" is visited. Against the decor of Mount Fuji the biggest, tallest, fastest and longest roller coasters in the world can be enjoyed here. Thanks to Otti's boxy shape there's enough room for one over-sized European driver and three Japanese friends! "Fujiku", another name for this theme park, does not disappoint! 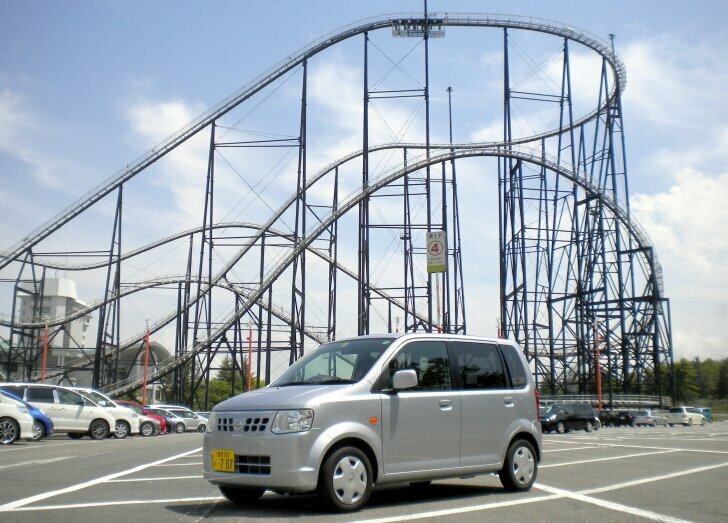 The first roller coaster ("Fujiyama") starts at 79 metres. For a split second the passengers have a great view of Mount Fuji, after which the cars speed down so fast that there's a good reason why the riders are strapped in place by a mechanical safety harnesses as well as safety belts! The second roller coaster ("Dodonpa") is even more exciting. It doesn't start with a climb. Instead the riders are launched horizontally from 0 to 172 km/h in just 1.8 seconds. Next, the track goes up 90 degrees, the cars almost come to a standstill at the top to then plunge back to earth at a 90 degree angle. A few days later Otti shows courage by visiting the "Motegi Twin Ring", a racetrack owned by rival carmaker Honda. After visiting the Honda museum, the hosts offer a spin on the racetrack. Is that a form of hospitality or are they trying to ridicule the little Nissan? Otti takes on the challenge and has a surprise in store. Despite its small track width and tiny wheels, Otti handles surprisingly well! Even compared to European standards, Otti has firm suspension and the power steering provides enough feedback to have some fun cornering at high speeds. Because of the small rim size (13 inch) Otti sometimes drives on the side of the tyres, but he always pulls through like a real hero. Well done Otti! 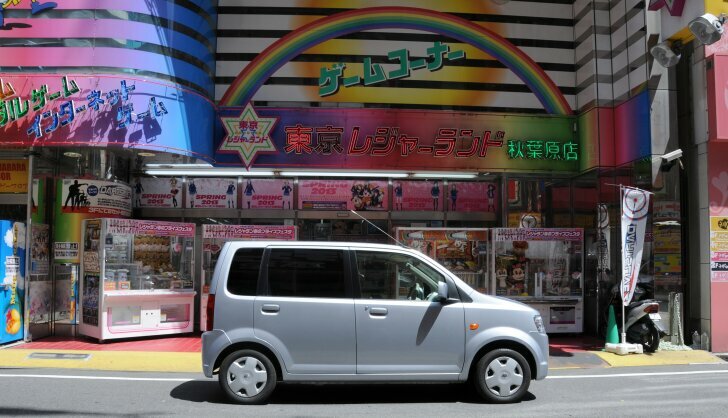 For one week Autozine drove around Tokyo in a Nissan Otti. Otti is the cheapest Nissan available and has been developed exclusively for the home market. Thanks to its modest size and small engine, Otti is eligible for the maximum tax discount in Japan. Otti offers everything that's needed in the city, while economising wherever possible. Its sympathetic character makes Otti a true Japanese car. If Nissan chose a name like "Nissan Terminator", "Nissan Magnum" of "Nissan Battle Star" Otti would be ridiculous. Thanks to its sweet name, cute looks and smart concept, Otti sells very well. In Europe speeds are higher, automatic gearboxes aren't as common, four-wheel drive isn't necessary and tough looks are preferred over cute faces. That's why it is no more than logical that Otti is only sold in Japan. But it is a shame, because Otti was a great friend and he will be missed. Thanks Nissan, thanks Otti!